Airtel, India’s largest telecom operator with over 232 million subscribers has now came up with another great offer for their Prepaid users. Get some freebies this Diwali by Airtel to make your day! Offer is valid for a limited period only, Grab it fast before it gets expired! Everyone will get some assured freebies like – FREE Data, iPads, Chromecasts, pen drives & lots more – Including Free Minutes, SMS or VAS Services this diwali. 3. Login with a password or Request for an OTP for first time. 4. Finally, Enter OTP/Password to reveal your Surprise gift by Airtel. 5. Grab your Freebie Surprise gift. The Scheme is applicable to retail customers on Airtel Prepaid Data Pack only. (‘Eligible Customer’). The Airtel Surprise Plan shall be valid for a period of 90 days commencing from the date of launch of the Scheme during which period Eligible Customers may follow the steps prescribes herein to claim their Airtel Surprise. 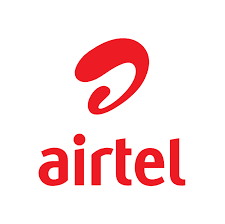 An Eligible Customer shall be required to log on to http://airtel.in/surprises and provide the requisite details thereon, in order to unlock their respective Airtel Surprise and in order to claim his / her Gift under the said Scheme. Each Eligible Customer may log on only one time for each individual Airtel Prepaid Data connection and claim his / her Gift. Repeated log ins shall not affect the nature of the Airtel Surprise made first available for the Eligible Customer to claim. The validity of the Airtel Surprise shall be for a period of 90 days from the date of disbursement during which period the Eligible Customer may follow the prescribed steps for claiming same. Upon expiry of the 90 day period the benefit under the specific Airtel Surprise shall also lapse. The Airtel Surprise Plan is valid for Airtel Prepaid subscribers in India only. The benefit from the Airtel Surprise are non-transferable and may be claimed by the owner of the specific Airtel Prepaid Data Pack only.